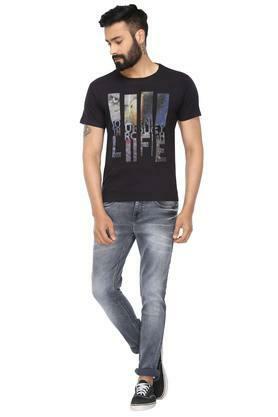 Elevate your style statement by wearing this T-Shirt from Life. 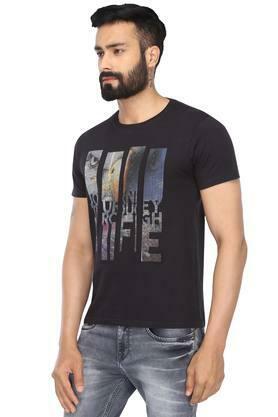 It features a printed pattern that lends it a trendy look, while the short sleeves and the round neck further add to the overall design. 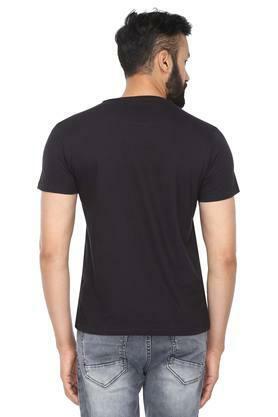 Moreover, it has been made of a fine quality fabric, hence it will make you feel at ease all through the day. 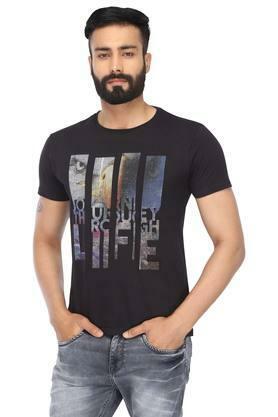 Look cool by wearing this stylish, printed T-Shirt. You can combine it with your favourite pair of jeans and canvas shoes to make a distinct fashion statement.